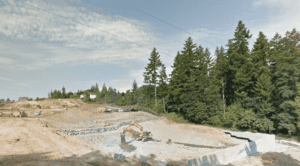 Construction is already underway in Issaquah on a more than $15 million single-family home development. Jazz Run, is the newest development on Seattle’s Eastside, hopefully easing the strain for the low inventory throughout the Puget Sound region. This 19 home development is located at 23121 SE. 48th St. and is just one of several housing projects in development. These homes will feature four bedroom layouts priced in the $800,000 range. In 2015, the city of Issaquah issued over 120 construction permits for single-family homes. This is quite an increase from the 28 permits issued just two years ago. Housing is increasing throughout the Eastside including places like Bellevue, where the city issued over 200 permits, up from 66 in 2013. Kirkland issued a total of 304 permits in 2015 creating a record for this area even though Kirkland’s footprint has not expanded in recent years due to several annexations. The increase in housing construction has been long overdue since development slowed in 2008 and 2009 after the housing bubble burst. Contractors did not keep up demand because homes simply were not selling. Today, developers are scrambling to keep up with the rising demand and home prices throughout the Seattle and Eastside areas. Professionals in the real estate and construction industry do expect construction to slow down as these larger subdivisions are built out and sold. New commercial construction is projected to pick up in the Kirkland and Totem Lake area due to the urban development projects and plans in the pipeline. Currently the only drawback to the new construction developments is the lack of land. This is one of the first times in years at the area has not had and new master-planned community such as those in Redmond like Redmond Ridge and Snoqualmie Ridge. The Eastside is destined to see more urban infill development such as townhome in condominium projects going up on the sites of older, negligent properties. For instance, the new 176 unit townhouse project going up on the side of an old grocery store in the Crossroads area of Bellevue. We will see more and more developments like this in the years to come based on the limited land availability. Interested in more information on purchasing real estate in Bellevue or the Greater Seattle neighborhoods, please contact Mary Pong today.